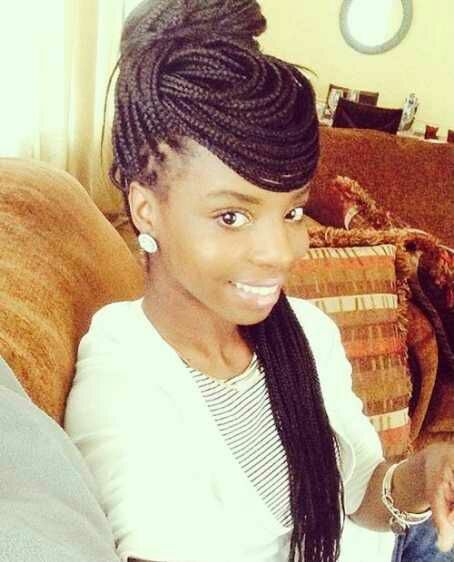 African Braids (Big Box Braids/ Thin box braids ) - BlogIT with OLIVIA!!! The first pic is a big box braids while the second one is thinner. The later can be a little handy to style while the thinner one will clearly give you no stress while styling it. Both box braids are perfect for various occasions. It can be worn for both casual and informal occasions. You can even style anyhow you want. It can be in a ponytail form or making a bun from the pony base in order to get an exquisite look.